October 16, 2015 October 19, 2015 / Elizabeth T.
As the year is slowly starting to come to an end, I’ve looked back at all of my beauty purchases in these past 12 months, applauding some of my awesome buys and regretting some of the items that I’ve mistakenly brought home. After a very thorough review of all my finds this year, I’ve compiled a list of 4 makeup and skincare products to save on, since I’ve noticed that for these particular products, drugstore brands don’t differ that drastically with its high-end counterparts. While some might want to purchase high-end mascaras that promise long, voluminous, and full lashes with the most waterproof formulas, I’ve noticed that mascara-quality isn’t determined by its price or brand. I’m obsessed with my lashes and mascara too, and having tried a variety of different formulas, from drugstore brands (Cover Girl, L’Oreal Paris, Maybelline, and many more) to high-end brands (Clinique, Shiseido – just to name a few), I can honestly say that if you can, definitely go with lower-end finds. Even though almost all mascaras promise waterproof formulas, that’s not always true. It’s always a trial-and-error because a formula that might work for you may not for someone else. As someone who has oilier eyelids and eyes that tend to water a lot (due to wearing contacts), my lashes are so selective with mascaras (even high-end products would smudge and make me look like a raccoon). 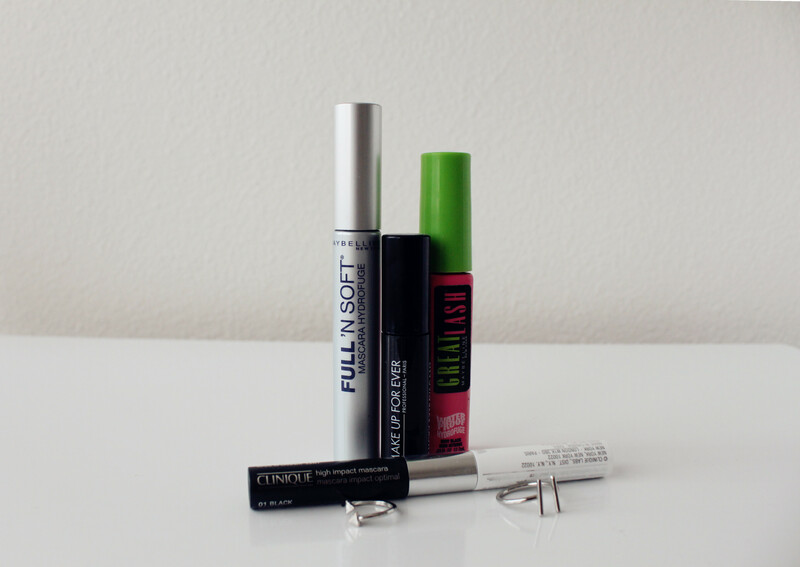 What I can suggest is to really try a lot of different mascaras, and you’re bound to find one that you like! The lifespan of one tube is so short, so you can try a variety throughout the year. Mascaras are supposed to be changed out every 3 months anyways (and a lot of formulas dry up maybe even before then), so what’s the point of splurging for the high-end stuff when in reality, you’re probably not even going to finish the whole tube? Up next on my list is definitely blush and bronzer. 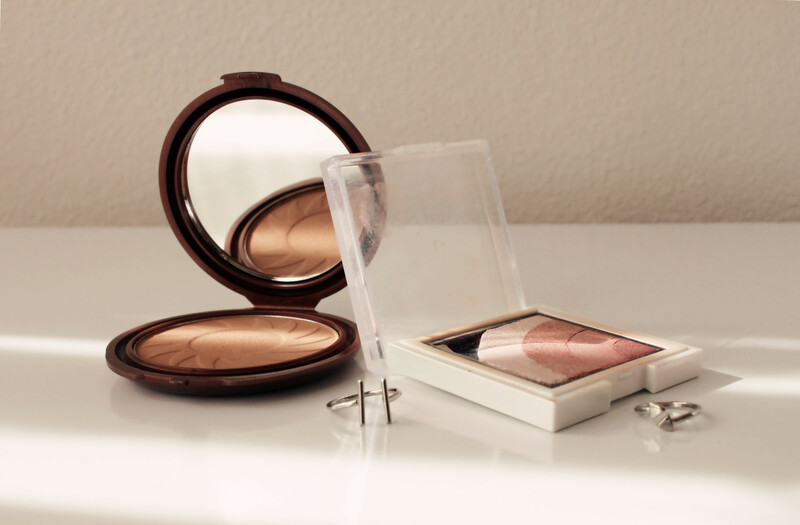 Because blush and bronzer tends to only be used very sparingly on the apples of the cheeks, it goes without saying that this particular product can be saved on. Rather than investing in very high-end blushes and bronzers (but likewise, not skimping for super cheap quality products either because it’s still your skin), I’d say investing in mid-end blushes should be good enough. There are a large variety of blushes, particularly Korean labels, that offer moderately priced products for a great deal 🙂 And the shades offered are absolutely gorgeous! Not to mention, their packaging just looks so cute! Following up on the prior mention of Korean labels, I tend to gravitate towards Korean branded lip tints because not only are they of high quality and have the cutest packaging, they’re also super affordable, especially in comparison to its American counterparts like Benefit’s BeneTint (http://www.sephora.com/benetint-cheek-lip-stain-P1272). The reason I would save on tints is because their affordability allows me to try a lot of different shades and formulas. With the change of every season, new colors become trends. For instance, fall and winter are always dictated by richer, deeper shades, while spring makeup looks focus on softer, muted tones, and summer is largely recognized as a time for bright lip colors 🙂 By going for more affordable alternatives, I allow myself to try so many different colors, as well as brands. And last, the item that I save money on is facial cleansers! While cleansing is such an important part of your skincare routine, there isn’t any significant difference between high end cleansers (I used Shiseido’s cleaners for years since I was 17 years old) and mid-priced ones. The reason I say this is because in judging cleansers, it’s not necessarily the price that determines the quality, but rather, the thickness of the foam created once it is lathered. The thicker the lather is, the more “deep” the cleansing experience is since the foam created allows you to cover more of the skin’s surface area. While I do recommend drugstore brands for mascaras, for cleansers, I do suggest more mid-priced brands. Having tried a variety of Clean & Clear and Neutrogena cleansers in the past, I don’t necessarily think they’re not good, just that there are definitely better options. For instance, many Korean brands, such as Innisfree, Nature Republic, and SkinFoods offers mid-priced cleansers that are of such high quality, I’d say it can even compare to Shiseido’s. My mom, even after having been such a loyal fan of Shiseido’s products for over twenty years, raves about my Innisfree cleanser every time she uses it 🙂 That’s why, if you can fork over a bit more money, definitely do so for these mid-priced cleansers because your skin will thank you. The only part of the day where your skin is actually clean, pure and completely free of dirt, oil, and makeup is when you’re cleansing, so investing in a good quality, yet fairly priced cleanser will definitely be of use in the long run. And that completes my list of makeup and skincare products to save on! What are some things that you all like to save money on and why? 🙂 Let me know in the comments! And of course, following up after this post, I’m going to be talking about the makeup and skincare products that I splurge on, so please stay tuned for that! 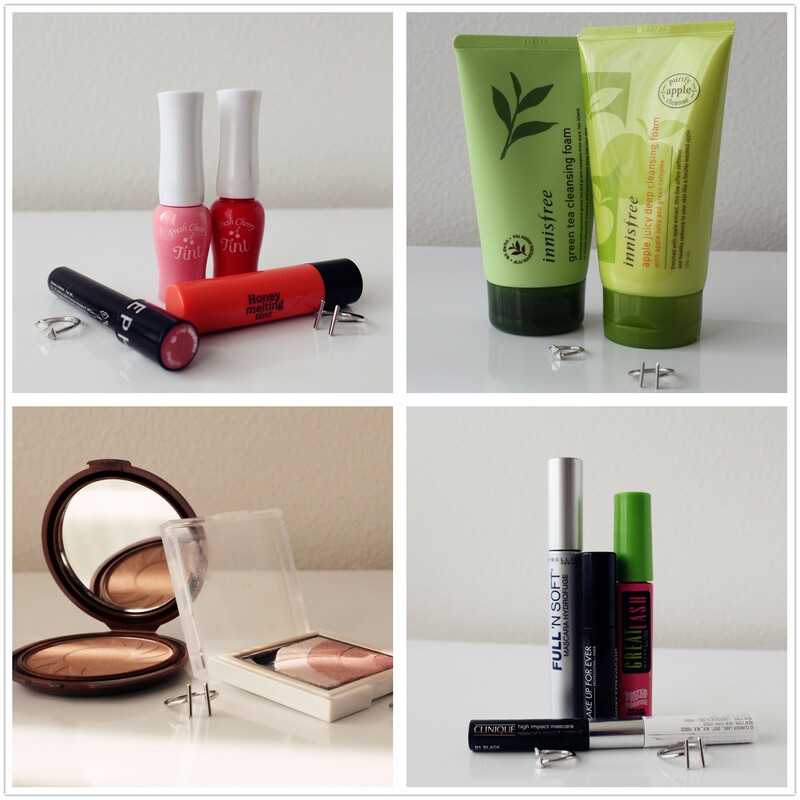 Love these great beauty picks! I’ll give them a try! Glad to hear you liked this post, Jane! 🙂 And thank you for stopping by! ❤ Have a great weekend! Great picks! I love lip tints, so I’ll have to go hunt these ones down. Yes, lip tints are some of my faves as well ❤ 🙂 And you'll love Etude House's tints! They're really great (especially for the price that you get them for)! Great insight on this post, I’m very big on products that do not harm the earth or my animal friends so I try to find quality cleansers and makeup that are a win/win in both camps 🙂 NYX Cosmetics are sold in drugstores and Boscia (Sephora) have been very good to me. This post is so true about all those beauty brands and products out there- it’s the ingredient and quality that makes it count, not the price!!! 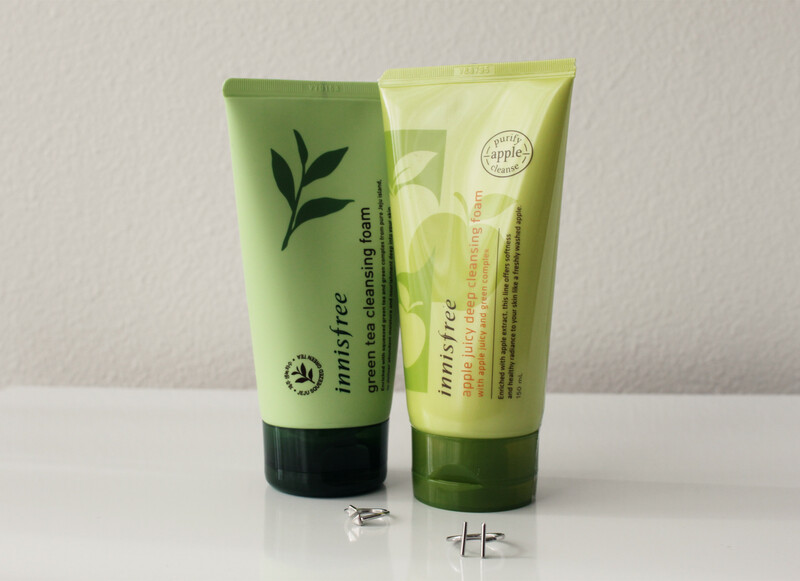 Talking of Innisfree.. have you tried their green tea serum? It’s one of my skincare staples!! such a lovely and beautiful post! I’d like to say that I’ve been reading your blog for some time and I like your style of writing and the posts that you shares with us! Great job! Great post, I love great skincare that doesn’t break the bank. Oh love this! I am always trying to see where I can save on makeup since I am not much of a makeup girl, I just want to even out my skin and bump up my lashes mostly! Great post!